Micheal Borland | Green Space Alliance | Urban designers | Planners | Landscape Architects. Before joining GSA, Micheal gained valuable planning and design experience working within both the public and private sectors of eastern and western Canada. Previously, he worked at the Township of Essa, MHBC Planning, City of Kitchener, and planningAlliance. During his undergraduate studies, he contributed to the Partnership for Canada-Caribbean Community Climate Change Adaptation research project. While assisting with field research in coastal communities of Tobago, Micheal helped facilitate a series of urban design charrettes in order to make locally informed recommendations for community planning and design regarding climate change adaptation concerns. Micheal’s diverse experiences achieve a concrete understanding of current planning and design best practices. 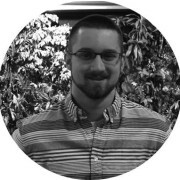 Micheal holds bachelor of Environmental Sciences degree from the University of Waterloo Honours Planning Co-op program with a specialization in Urban Design.